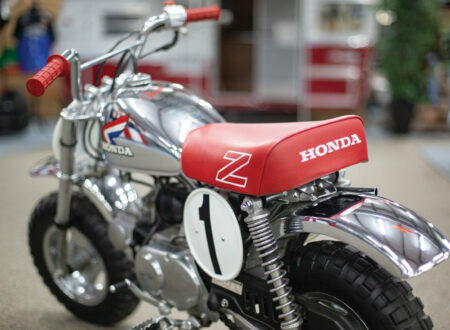 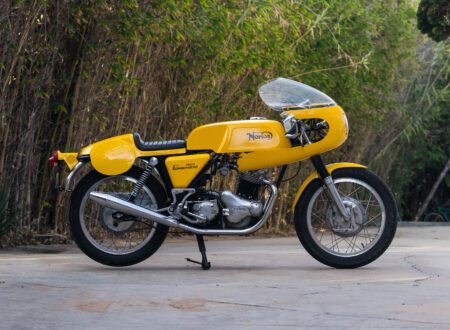 This is doubtless one of the most important Husqvarna’s of the 20th century, it was ridden by World Champion Bengt Åberg in 1968 in Santa Cruz as part of the 1968 Inter-Am series where it was seen by accomplished motorcycle racer (and actor) Steve McQueen. McQueen was so impressed with the new Swedish two-stroke that he bought it from Bengt on the spot and had it shipped back to his already well-stocked garage. 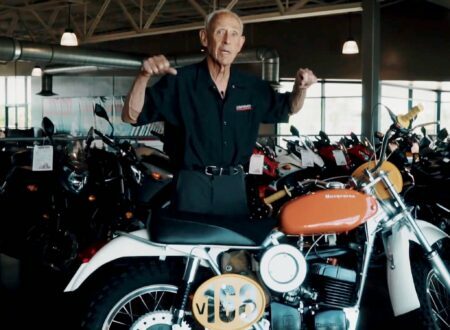 This would be the beginning of a long and beautiful relationship between the legendary American movie star and the Swedish motorcycle marque that’s probably best remembered today for the scene in On Any Sunday with McQueen riding alongside Mert Lawwill and Malcolm Smith across the beach at Camp Pendleton. 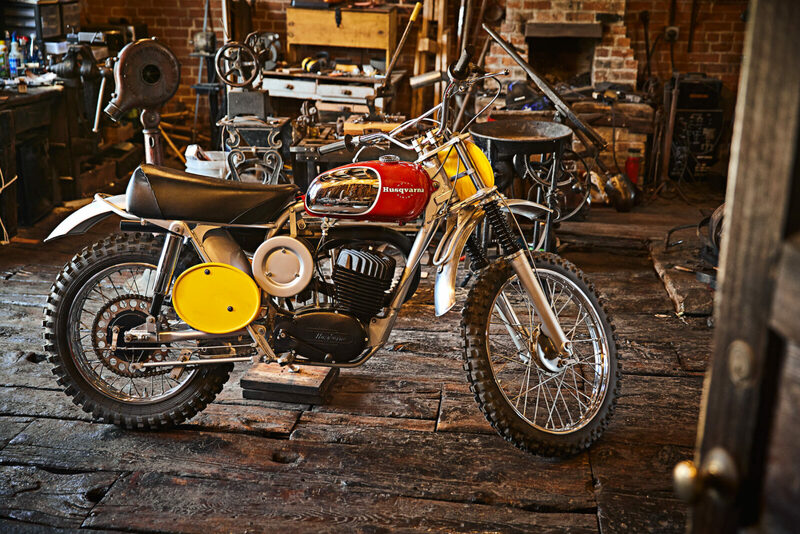 Before 1966 Husqvarna was better known for their 250cc two-strokes, larger single-cylinder two-stroke engines were difficult to build due to their propensity for overheating. 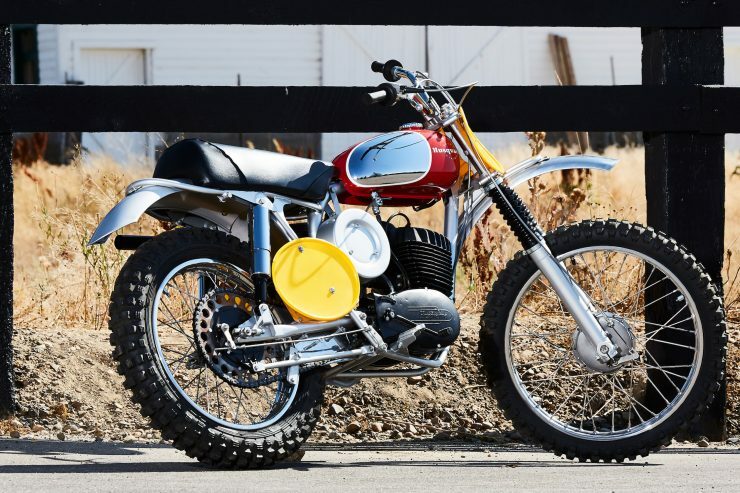 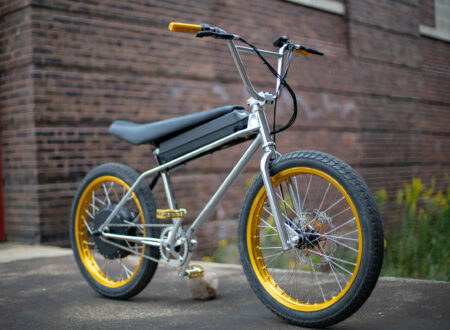 The first of the larger two-stroke Huskies was especially a modified version of the 250 with an increased bore and a longer stroke necessitating a new barrel, piston, connecting rod and head, as well as a slew of other smaller parts. 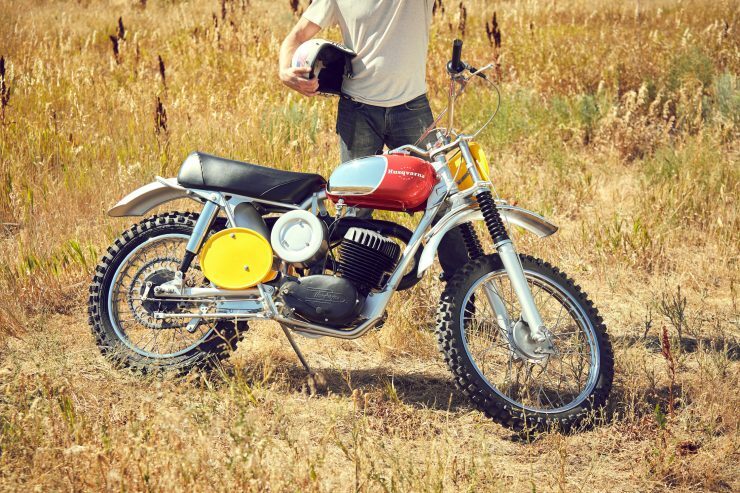 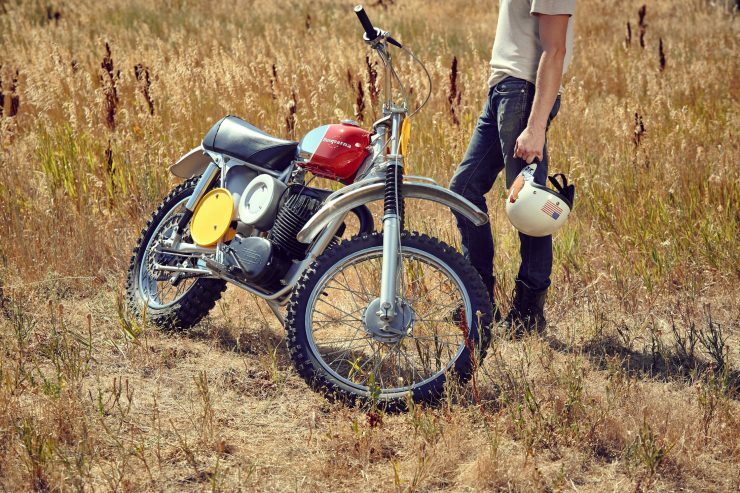 It would be the 1968 Husqvarna Viking 360 that would really put the Swedish company on the map. 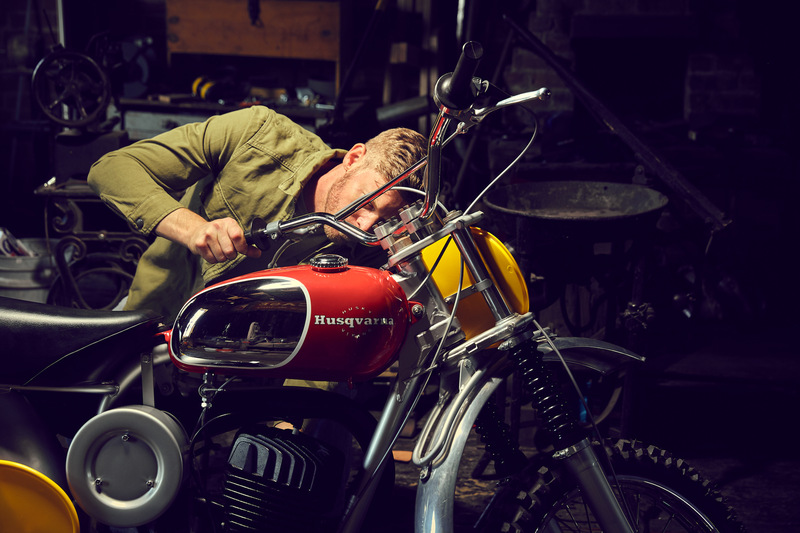 Early teething troubles with the engine were largely solved, a new bright red and chrome paint scheme was added, and a new fully welded frame was used – in place of the bolt-together frame that had been used previously. 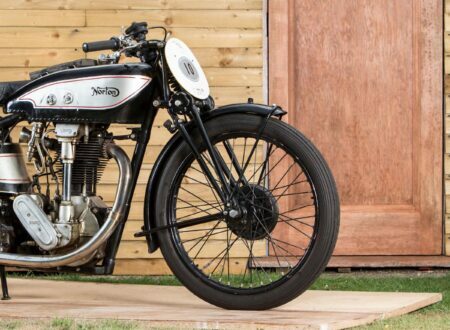 Swedish rider Bengt Åberg would put the newly upgraded Viking 360 to good use, racing it competitively on both sides of the Atlantic including at the event where he met McQueen and sold him his bike. 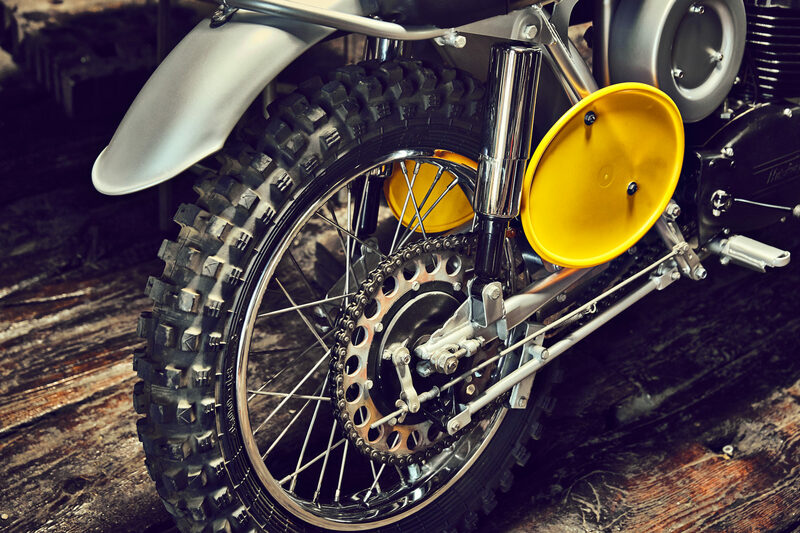 In 1968 he was part of the Swedish factory team that won the Trophée des Nations, he won the FIM 500cc Motocross World Championship in both 1969 and 1970 and he was a member of three winning Swedish teams at the Motocross des Nations in 1970, 1971, and 1974. 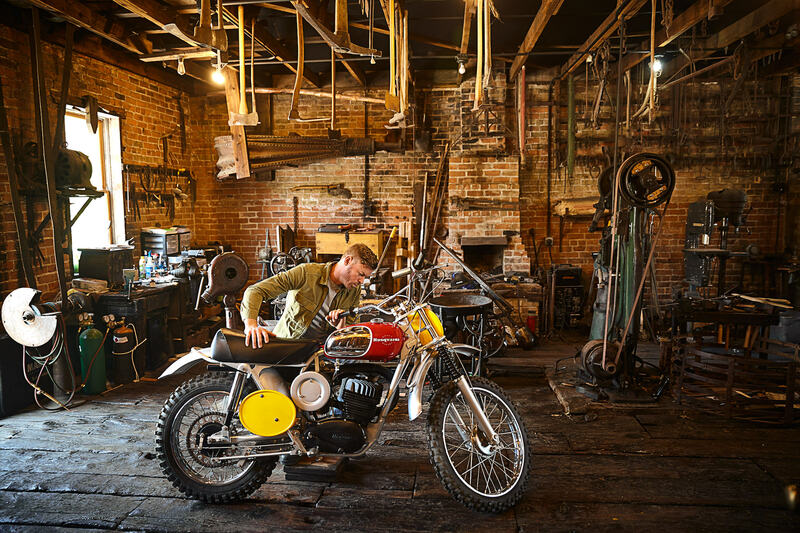 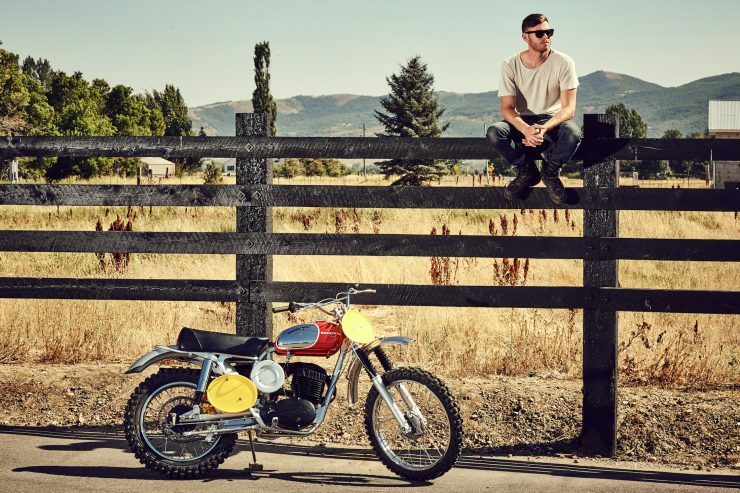 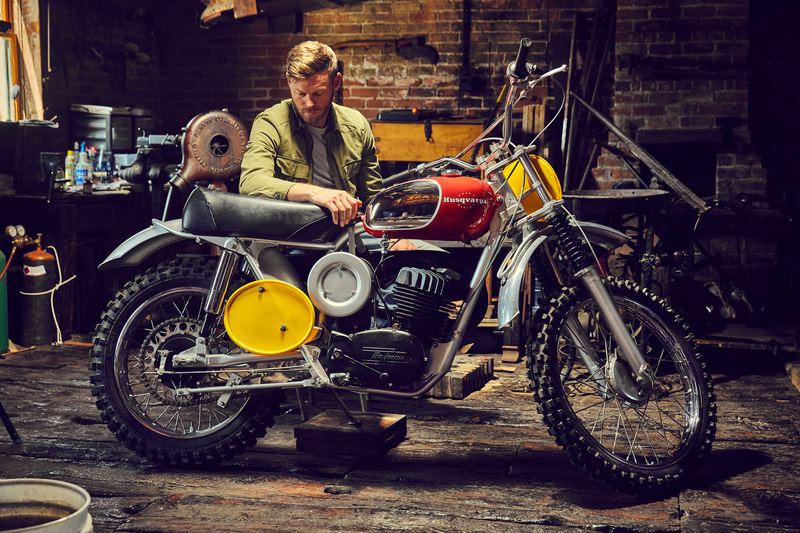 In the late ’60s and early ’70s the Husqvarnas were the bikes to beat and although Steve McQueen had a long and well-documented passion for Triumphs, his primary passion was always speed. 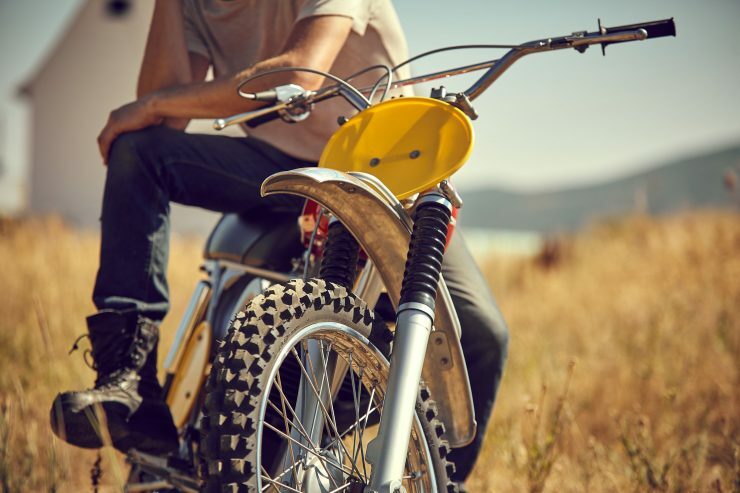 Through much of the 1960s the Triumph TR6C desert sled was the bike to beat, until the Swedes arrived. 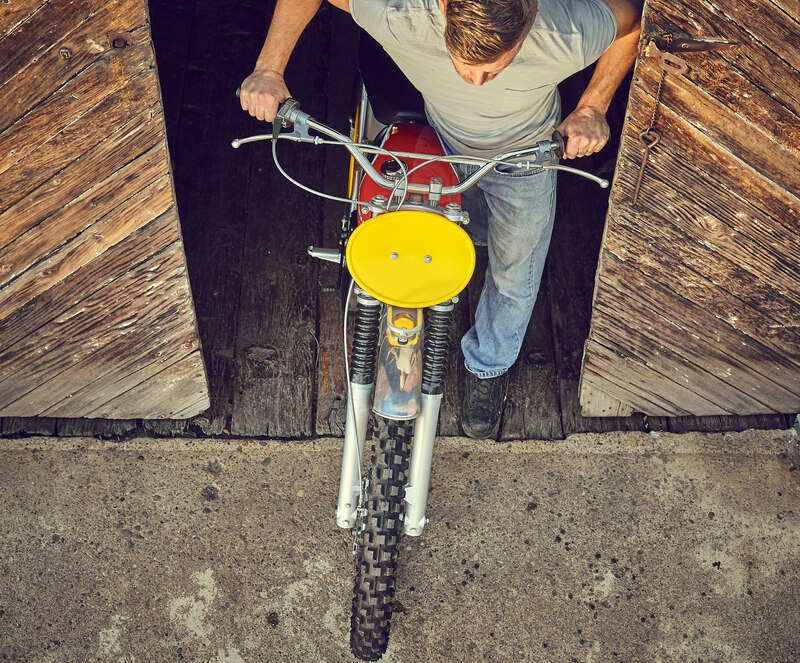 Fortunately the Åberg-McQueen Husqvarna Viking 360, VIN #MF-1987, has survived intact and original to the current day. It belongs to the owner of Blacksmith Garage based in Eden, UT and in 2014 it embarked upon a 14-month concours quality restoration to bring it back to the condition it would have been in when it was first issued to Bengt Åberg for his entry into the 1968 Inter-Am series. 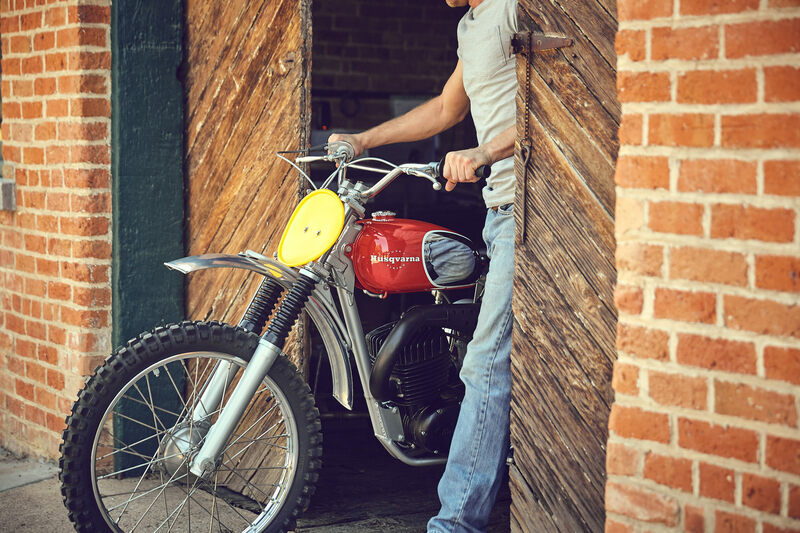 Of course, Steve McQueen would go on to own a number of Husqvarnas including the famous one he rides in the Bruce Brown film On Any Sunday, but this bike was unquestionably close to his heart as he kept it for years. 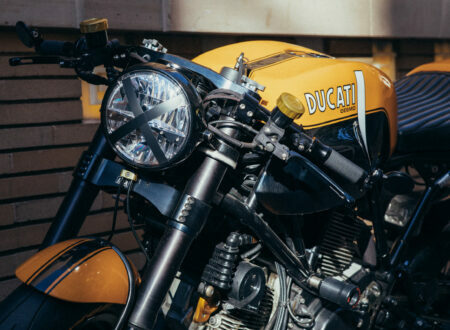 If you’d like to read more about the bike or see what else the team at Blacksmith Garage have tucked away you can click here to visit the website.